Kelly Lynch’s roots run along a set of railroad tracks in northeast Indiana. 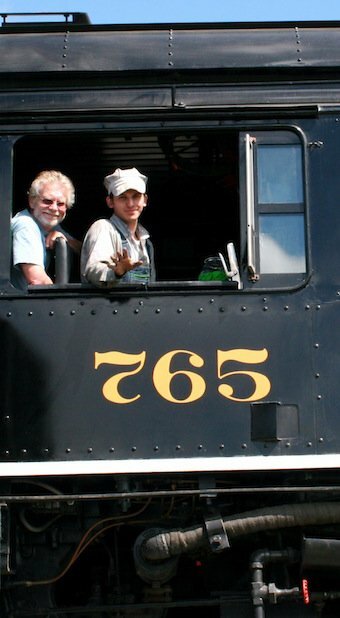 One of his earliest memories is in the cab of Steam Locomotive no. 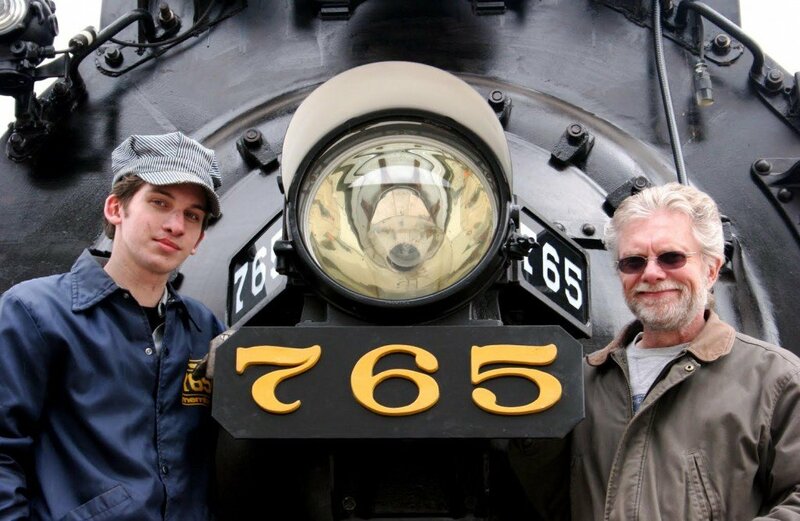 765 with his father, Dan. It was a few minutes after 7 a.m. in Fort Wayne, Indiana, and Lynch sat across the table from me at Klemm’s Café, a blue-collar diner where everybody enters through the side door. You can’t smoke in there anymore, but it was the kind of place that felt like you should. 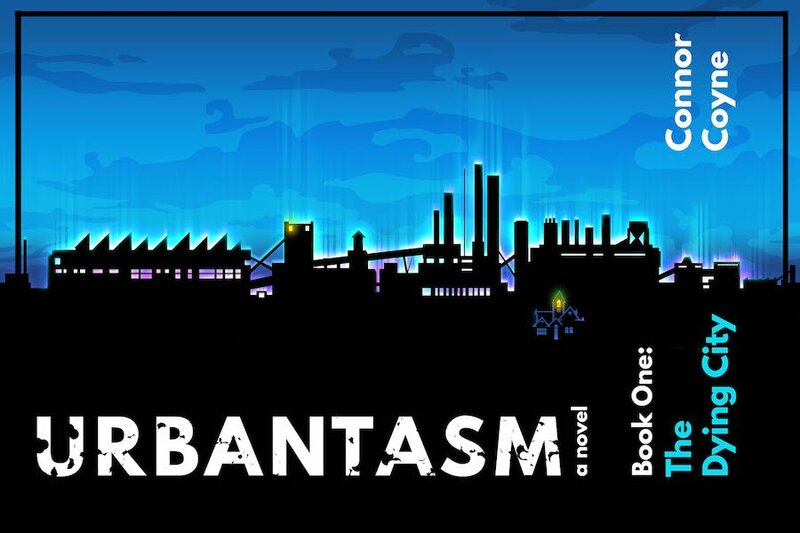 He wore navy-blue coveralls over a black hooded sweatshirt — he had train business to attend to later in the day — and paused occasionally, mid-sentence, to take a bite of bacon. I first met Lynch 5 years ago when he was teaching a course on film production at a local university. He was a fast-talking filmmaker with a burning love for trains and enough energy to power, well, a locomotive. He talks somewhat slower now, but the fire is still there. “Out there” is a warehouse on Edgerton Road in New Haven, just southeast of Fort Wayne, home to the society and its signature engine: Steam Locomotive no. 765. 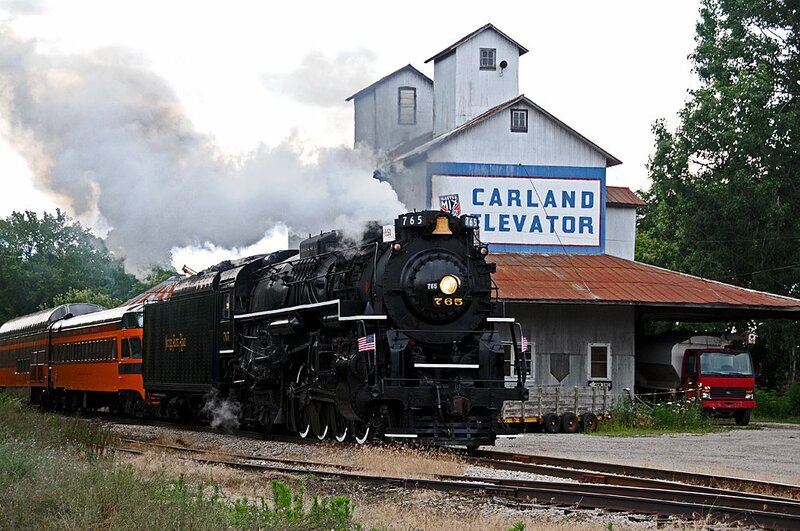 The 765 has historical significance for Fort Wayne, as it was the first train to cross newly-elevated railroad tracks on the north end of town in late 1955. Donated to the city by the New York, Chicago and St. Louis Railroad as a monument to the era of steam railroading, the engine spent 10 years sitting on display in a city park, where, exposed to the elements, it fell into disrepair. 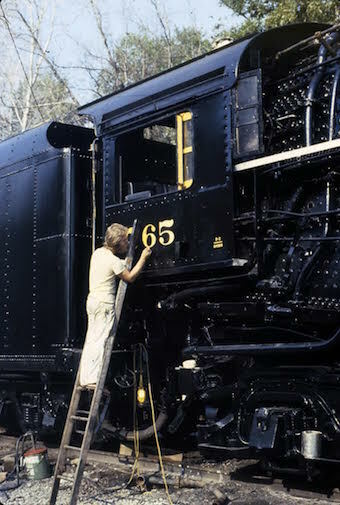 The historical society obtained the engine in the early 1970s, and after several years of work it was soon running again. The 765 spent much of the ‘80s and early ‘90s on the road, partnering with several major rail companies, including Norfolk Southern, to traverse the country on display. Everywhere it went, the train drew crowds of onlookers who waved as it passed through their towns. Dan was part of the original restoration crew in the late 1970s and became president in the early 1980s. He became less involved with restoration work later on, but Kelly’s childhood was marked by trips to New Haven, and punctuated by rides in the engine and chances to blow the whistle. But one day in late September 2001, when Kelly was 16 years old, his father was late to pick him up from school. A neighbor found Dan Lynch sitting dazed on the basement couch; an editorial cartoonist by trade, he had suffered a stroke that would leave him unable to speak or draw. And it was. Though he lived, Dan Lynch would never recover the ability to communicate. 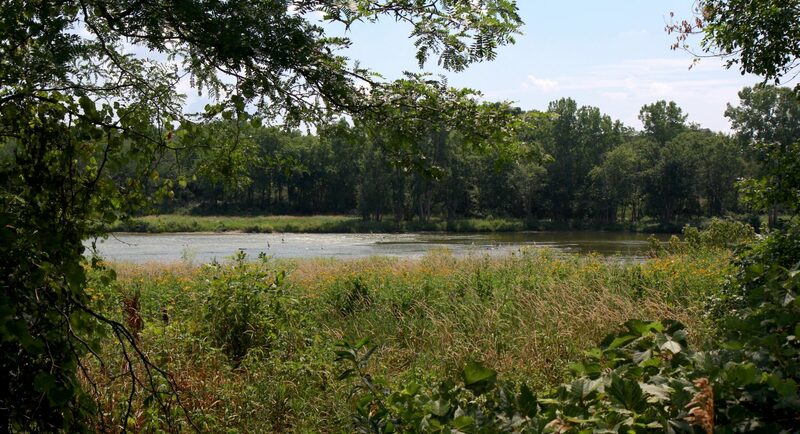 Like many towns in the Midwest, Fort Wayne was born on a trade route. Later, its unique position at the crossroads between major Midwestern cities like Chicago, Cincinnati, Cleveland, Detroit, and St. Louis made it a hub for rail activity. The Pittsburgh, Chicago and Fort Wayne Railway — predecessor to the legendary Pennsylvania Railroad — set up shop in the city and started manufacturing passenger cars, freight cars, and engines to support the western end of the line, and the New York Central (NYC) Railroad had a freight house north of the river — half a mile from Klemm’s Café. But it didn’t stay that way. After his father’s stroke, Lynch continued to be involved with the historical society and the train, eventually becoming the youngest steam engine fireman in the country and developing plans to bring the train downtown in an ambitious project titled “Headwaters Junction.” The plan would develop the property around the old NYC freight depot into a cultural attraction honoring the city’s transportation heritage. In 2010, the freight house was torn down in what many saw as the defeat of Lynch’s project. But the demolition was a sort of catalyst for Headwaters Junction’s journey. 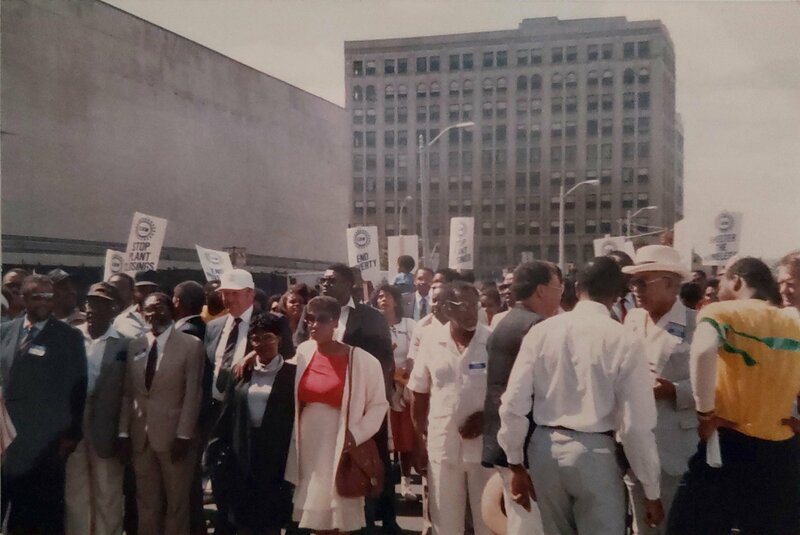 The wheels began to turn; Lynch had been talking to residents of the near-north side neighborhood around the site, many of whom had worked for the railroad in the past, and the feedback was largely positive. His idea was gaining traction with locals and some media outlets, but there was little support from property owners or the city. For Lynch, the 765 is a key part of Fort Wayne’s identity, and is as relevant today as it was 50 years ago — maybe more so. The picture of his father’s idea still burning in his mind, Lynch pressed on, serving as the marketing and communications director for the Fort Wayne Railroad Historical Society, authoring a book, Magnificent Machine: The Official Illustrated History of Steam Locomotive no. 765, and producing an hour-long documentary, Listen for the Whistle. 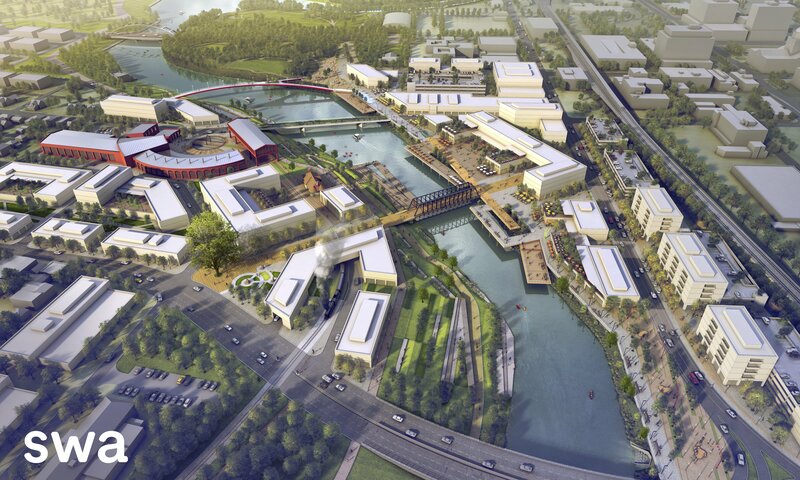 The hard work paid off when Fort Wayne hired an outside consultant, SWA Group, to provide guidance and a master plan for the proposed riverfront development. Aided by the results of a community poll, Kelly and the historical society lobbied for the train, and in the summer of 2014 the consultants unveiled a set of early conceptual plans — Headwaters Junction included. Dan Lynch was there. “He was sick in July , and I wanted him to show up at the SWA presentation,” Kelly recalled. “And at 4:59 he showed up at the library and I made him sit next to me. He got to see the initial presentation and hear them talk about it. Dan Lynch died of cardiac arrest on August 10, 2014. “I told him he had to stick around long enough to see it happen. I guess I should have been more specific,” Kelly commented wryly. Less than seven months later, in February of 2015, SWA unveiled their official plan, which includes an expanded, central role for Headwaters Junction. But the joy of success was tempered by the absence of the man who had inspired it all. The death of his father — what Kelly refers to as his second death — soured many of his affections. He wrote shortly afterward that he could hardly bear to look at the train. But the same fire burns under the veil of loss; his words carry the same sense of urgency. I asked him about this, at breakfast that Saturday morning. In the first pages of Dan Lynch’s journal, kept before his stroke, he describes going to the roundhouse to visit his father — a railroad man himself, on the New York Central. His stories are touchingly similar to Kelly’s: the sound of the whistle, the nickel coke machine, the romance of the engine, and the burning desire to share this feeling with the world. Tracks run deep in this family’s veins. Kelly regularly refers to the 765 as a “400-ton time machine.” And while it can’t bring back the past, he hopes it can restore it to a place of honor — for his city, for his neighbors, and for his dad. “While this [Headwaters Junction] stuff percolates, the train gets to go out and do what the train already does,” Kelly said. And what it does is inspire a sense of awe and wonder, a reverence for community and shared cultural history, as it barrels — smoke puffing and whistle blowing — through the towns that dot the American landscape. Ryan Schnurr is a writer and photographer based in Chicago, though he originally hails from Fort Wayne, Ind. His work has also appeared in Spaces Quarterly and Frost Illustrated, among others. All other photos courtesy of Kelly Lynch.